I was first attracted to this by the seventies-style cover, which cheekily introduces a rosy apple at the bottom; only if you look closely do you see that the apple is starting to go bad. It’s a good metaphor for this story which is raw and bitter, but leaves you wide-eyed as if drunk. It’s told by a young girl whose brother has a brain tumour; with all the family attention focused on him, no one notices her, leaving her ripe to be picked by a predator. As she navigates puberty and adolescence she learns that her sexuality is her only currency, and her only power. But that power is an illusion, and she’s heading straight for catastrophe. It’s certainly not an easy read, and one that I will definitely re-read – full of subtexts and hints and resonances that you don’t fully appreciate the first time round. But it’s utterly compelling, creating a unique voice, and the sense of being trapped inside her head is overwhelming. 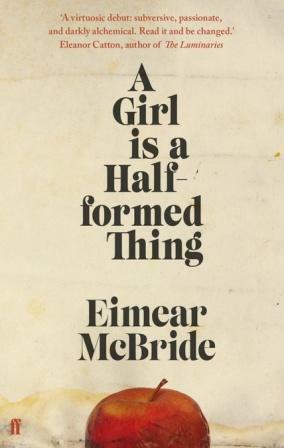 I think this novel justly deserves the prizes it’s won, and Eimear McBride is a novelist to watch. Another interesting one to review – shortlisted for the Man Booker Prize, this has been quite hot property locally as Alison is from Nottingham. I’ve been fortunate to hear her speak at a couple of writing events. It’s very much a mood piece – melancholy and thoughtful, about the random and tragic concidences and connections between lost and lonely people. Futh, separated from his wife, takes a walking holiday in Germany to reflect on his life so far. 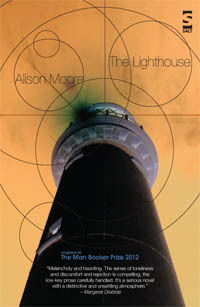 Staying at the Hellehaus (Lighthouse) hotel, he is barely aware of landlady Ester, who subsumes her own sorrow in a series of casual sexual encounters with guests. Both locked into their own problems, drifting through their own lives like ghosts, neither foresees the tragic consequences that await them.